The City of Weyburn is a dynamic and progressive municipality located in the heart of Southeast Saskatchewan. 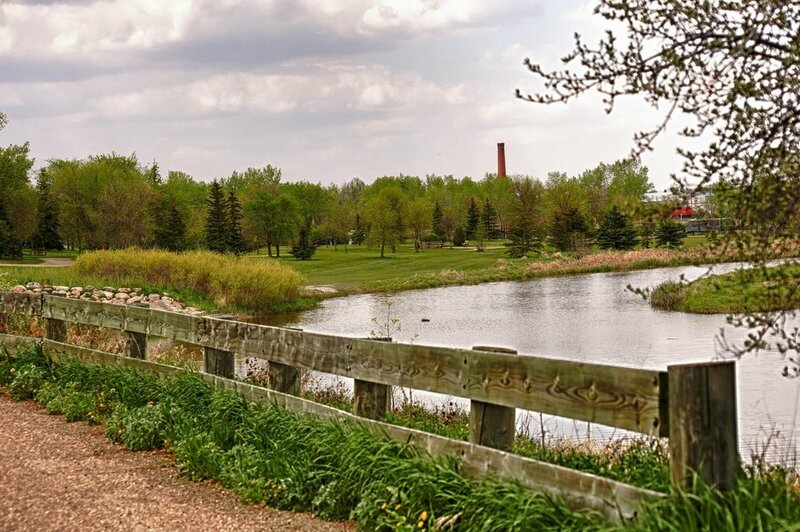 Nestled in the Southeast corner of Saskatchewan, Weyburn is a thriving prairie City with much to offer to both its residents and tourists alike. Records indicate the community of Weyburn was founded in 1899 when people started to arrive and a settlement started to take shape around a station house and freight shed. 1902 was a boom year with an invasion of Americans brought in new business enterprises from across the border and Weyburn was incorporated as a village. Weyburn was incorporated as a town, and achieved City status on September 1, 1913. Some people claim Weyburn was named after a railway man who supervised the laying of steel. There are others however, who insist that the City got its name from a Scot. There is a story that on a hot summer’s afternoon, an exploring Scot, upon coming across the Souris River, exclaimed — Wee Burn! — and hence, the community became Wee Burn, later changed to Weyburn. Weyburn's Economic Development Office is the central point of contact for business assistance. The Office seeks to foster economic growth in the Weyburn Region by working with investors, government and community partners. At this time, Weyburn Regional Economic Development represents two municipalities: the City of Weyburn and the Rural Municipality of Weyburn #67.